If you are looking for a chef job in London, there are a number of opportunities. Take a look at our London jobs page to see just how many fantastic positions are available. For young chefs who are trying to find work in London be prepared - it’s a 24 hour job. Jobs: There are over 30,000 chef jobs in London and the amount of hotels, restaurants, pubs and catering companies is enormous. Someone will always be looking for staff. Cuisine: There are an extensive variety of restaurants with food from well, everywhere. India, Australia, China, Ireland, Pakistan, Morocco, South Africa, Brazil, France, Italy, Spain, Germany, Mexico, USA choose any country and you will find its food in the capital. Operations: With over 15,000 restaurants in the capital and 60 of those with Michelin stars the possibilities are endless. Not to mention hotels and catering companies, which also offer great dining and opportunity. 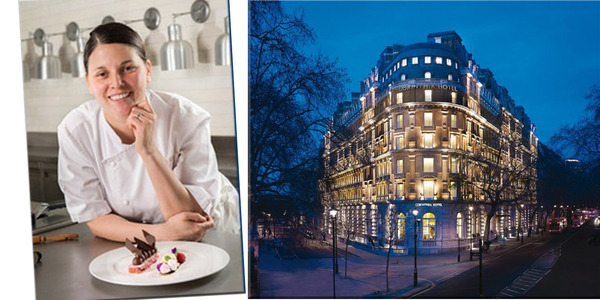 Advice from chefs: Kimberley Lin-McCartney is the head pastry chef at the Corinthea Hotel in London. She said: "London is quite a fierce work environment. I think there is a lot of opportunity, which is good and it is very challenging. London has a great market; it's where to be really, rather than in some little country hotel." "London is very demanding, which is good and bad. I think in London there is a lot more expectation. I don't think it would be ok to work 18 hours a day in a little country hotel or even a small restaurant." "I love London", said Mark Jarvis, ex-executive chef at Bingham Hotel. "It is a great place to work because of all the connections you make." "The competition in London is much bigger than in other UK cities. You need to know where to find the top suppliers as everyone is trying to get the best. It's just hard getting the ingredients through the door. And then there's the hype of all the different restaurants that have opened, so you've got to constantly compete and come up with new ideas. It's a lot harder than in other cities."